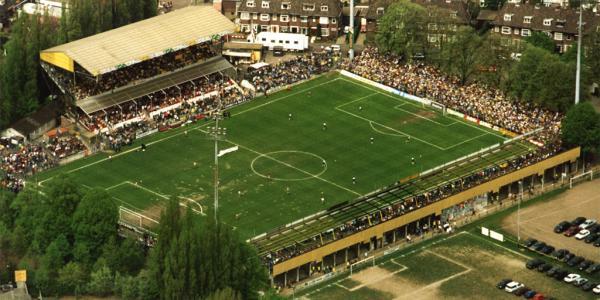 NAC-Stadion, often referred to as the “Stadion aan de Beatrixstraat”, was between 1940 and 1996 the home of NAC Breda. It had a reputation for its intimidating atmosphere and a home match was generally referred to as an “avondje NAC” (an evening NAC). NAC-Stadion officially opened on the 6th of October 1940 with a match between NAC and Eindhoven (0-0). The stadium was located in a well-off area just south of the centre of Breda. It was bordered on one side by the Burgermeester van Sonsbeeck park and on the other by residential housing. The increasing popularity of the club during the 1950s led to the construction of a first concrete stand with 1,300 seats. Further improvement were made in the 1960s. The terraces behind the goals got gradually expanded and a new covered terrace at one of the long ends opened in 1969. The last major development took place in 1977 when the characteristic double-decker main stand opened. In its height the stadium could hold about 18,500 fans, but in the 1980s and early 1990s safety measures reduced this to about 12,000 places. 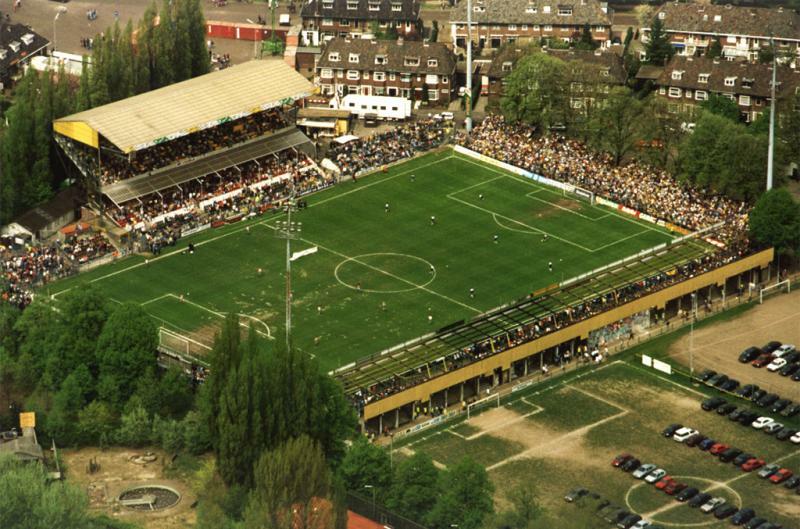 By the 1990s the stadium had severely aged and, after NAC gained promotion to the Eredivisie in 1993, could not accommodate the increasing crowds. NAC therefore started a study to look into the possibilities of extensively renovating the NAC-Stadion, but the club soon came to the conclusion that it would be cheaper to build a new stadium altogether. Construction of the Rat Verlegh Stadion, then still called FUJIFILM-Stadion, started in 1995 and was completed about one year later. The last official match at the NAC-Stadion was played on the 28th of April 1996. The home side got defeated 0-3 by the visitors Feyenoord. As soon as the club moved into their new stadium, the NAC-Stadion got demolished and replaced by residential housing. There is nothing that reminds of the stadium anymore.